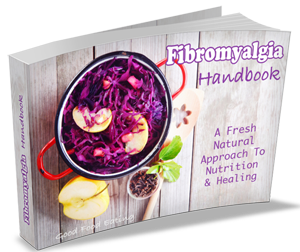 Many of my readers here at Good Food Eating suffer with fibromyalgia. 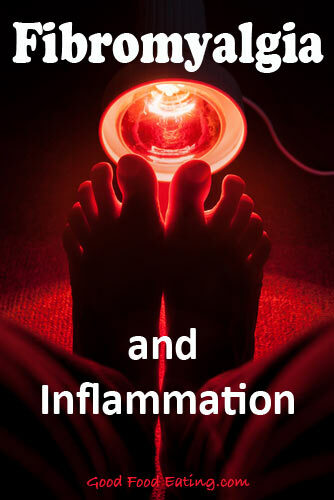 And since one of my areas of interest is inflammation, I’ve recently been exploring what the research has to say about fibromyalgia and inflammation to see if it can help inform us more about effective treatment. So let’s look at a few was fibromyalgia is involved in inflammation. Many studies indicate that fibromyalgia is associated with overweight and obesity, with about half of people suffering having an association. 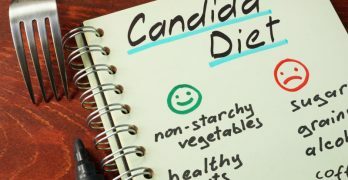 With increased weight there are increased levels of inflammatory adipokines such as leptin, adiponectin, interleukin-6, tumor necrosis factor alpha and others. I’ve talked about the role of fat cells in a previous podcast over here, and the truth is that as we gain increased fat cells we have an increased production of inflammatory molecules from those fat cells, that’s what those adipokines are, inflammatory molecules. When there are more of them, they are signaling the immune system to increase the inflammatory reaction that’s occurring inside your body. Increased weight also affects a hormone called ghrelin, reducing its production. Some studies suggest that reduced ghrelin production may be related to the pain relationship by way of regulating other systems in the pain pathway. Even without the addition of extra body fat, increased levels of inflammatory cytokines interleukin-6 and C reactive protein have been observed in many people with fibromyalgia. Cytokines are cell signaling molecules that act as communicators in the immune system. One of the proposed mechanisms for this increased production of cytokines is due to a higher level of oxidative stress in people with fibromyalgia. Higher levels of oxidative stress means increased nitric oxide, increased free radicals, and therefore increased inflammation. Of course anywhere there is increased inflammation, there is generally going to be a worsening of symptoms. Believe it or not, our immune system is largely located in our intestine with the type of gut bacteria that is hosted there. We have trillions of microbes hosted inside our body, trillions! And these microbes in the gut produce genes that influence the immune system and produce inflammatory cytokines. Inflammation essentially is just a response of the immune system and when there is an imbalance in the types of bacterial microbes, this can cause dysregulation or dysfunction of the immune system that not only leads to increased inflammation, but could possibly increase the dysfunction of pain modulatory systems within the central nervous system and neuroendocrine system that is believed to occur in fibromyalgia. It has also been shown that patients with fibromyalgia have increased intestinal permeability. This means toxins that should be eliminated from the body are crossing the intestinal barrier and re-entering your blood stream. People with fibromyalgia already have a decreased capacity for detoxification, so this only adds to your body’s load, increasing inflammation and increasing symptoms. Many people with fibromyalgia also have food allergies, one of the primary food allerigies is gluten. Gluten is found in wheat, barley, and rye. Gluten is also a large contributor to increased intestinal permeability. 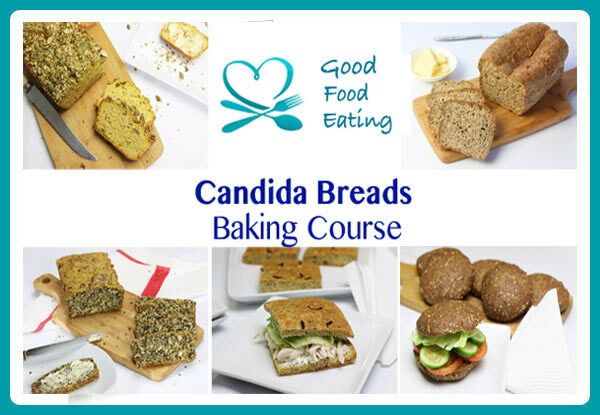 Non celiac gluten sensitivity has been found in many fibromyalgia sufferers. In studies where patients have cut out gluten, many of them have shown drastic improvements and even a remission of all pain and symptoms! Nutrition is one of the primary key treatment strategies to tackle the increased inflammation associated with fibromyalgia and yet studies show that as little as 20% of people have tried nutritional therapy as an option. Like most things, I think many GP doctors have very little knowledge of the effectiveness of nutritional therapy as a treatment option for fibromyalgia, therefore they don’t actively promote it as an option to you. The field of nutrition and inflammation is also relatively ‘new’ so there are many practitioners who are unaware of just how powerful dietary changes can be in reducing inflammatory molecules in the body. 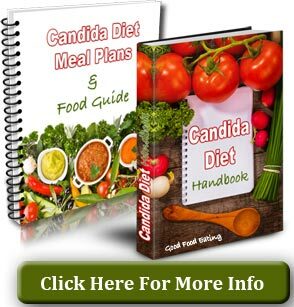 I am currently working on a new eGuide with meal plans and natural lifestyle solutions. So be sure to subscribe below to be notified when the Handbook is finished.